Cho is Oza Challenger: In the final to decide the challenger to Iyama Yuta for the 61st Oza title, held on September 12, Cho U 9P (B) defeated Yuki Satoshi 9P by 2.5 points. Last year Cho (right) missed out on qualifying for the Honorary Oza title when the challenger, Iyama Yuta, beat him 3-0. He now has a chance to take revenge. If he won back the title, it would be his eighth Oza title, so he could aim at securing the honorary title by winning it ten times in total. The title match will start on October 24. 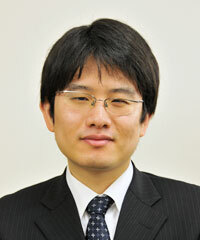 38th Kisei: Yamashita Wins A League: Yamashita Keigo Meijin (left) won the A League of the 38th Kisei tournament before having to play his final game when Yamashiro Hiroshi 9P defeated Kiyonari Tetsuya 9P in the last fourth-round game on September 12. Taking black, Yamashiro Hiroshi won by 1.5 points. That put both players on 2-2 and so both are out of the running. In my previous report, I wrote that a number of players were still in the running in the A League, but I had forgotten that there is no play-off in a Kisei league. 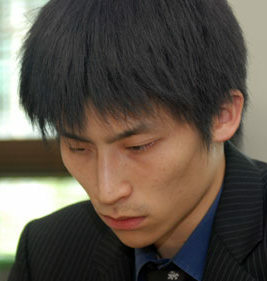 If Kiyonari had beaten Yamashiro and then won his fifth-round game while Yamashita lost his, then Kiyonari would have won the league; in any tie, Yamashita would take priority over other players because of his higher ranking. Yamashita will meet Murakawa Daisuke 7P in the play-off to decide the challenger to Iyama Yuta Kisei. Iyama Draws Even in Meijin: The second game in the 38th Meijin title match was just as one-sided as the first, but this time it went in favor of challenger Iyama Yuta (right). 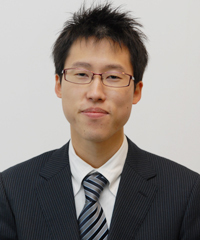 On move 59, Yamashita Keigo Meijin made a misreading in a capturing race: he thought that he could get a one-approach-move ko, but it was actually a two-approach-move ko, that is, he would have had to play two extra moves before it became a real ko for him. There’s a big difference, and he was unable to recover from this setback. Black resigned after 162 moves. The third game will be played on September 25 and 26.